Thank you so much for transporting my car from VA to Memphis, TN. The driver was great and car was delivered with no problem at all. Great service and accurate transportation time! Thank you! Tennessee has played a very important part in the music development of the country; it is considered the birthplace to a few genres such as blues, rock and roll, country, and rockabilly. This has caused hundreds of aspiring new artists to relocate with their whole families in to Tennessee to pursue their dreams, if not completed; the unlucky ones need to return home. This movement has caused great demand for the type of service we provide – car transport in Tennessee. In order to ship a car to and from Tennessee you have to make sure you plan ahead of time and take care of all details in order to enjoy a smooth transportation. The first things you must determine before you start to shop around for car transport in Tennessee are the dates you are looking to ship. You may not have an exact date; however an idea or approximate time will help determine the price and availability of your transportation. If you are working towards a specific delivery date, make sure you ask your agent how much time is delivery time so you can book your service with enough time in advance. Be aware that you cannot have unrealistic expectations on last minute requests. Once you have determined the dates, the hectic part starts: looking for the best company. It is no secret that there are hundreds of people pulling scams on customers every day. Technology today has not only facilitated customer to access retailers and services, but it has also allowed scammers to access them. This part may be considered the most stressful for first timers as they have a broad list of companies to choose from, how to know which company is the best? Here is where the internet works as your strongest research tool, read reviews, check their credibility and their rating with the BBB (Better Business Bureau). Stay away from low prices and smooth talking salesmen, as low prices are always tied to hidden fees and unreliable transporters. After you have chosen your company, provide as many details as possible to your agent so he can determine the correct price and the best accommodations for a safe and secure transport. Based on the type of car you are shipping he will also make a few recommendations and or requirements in order to ship your car safely. For example sports cars usually have very low clearance that can easily be damaged while loading and unloading from the carrier; therefore these cars are to be shipped via enclosed carrier instead of regular open trailers. Motorcycles such as a Ducati have to be specially cradled by factory to transport due to their unique shape. Regular straps and cradles are not suit for these bikes and carriers require for them to be cradled already before shipping. Details like this can be foreseen as long as you provide as many details as possible; this will help you avoid any last minute surprises and maybe fees. Open carriers are the most common service in the industry, it is a safe and great service that will move your car from one location to another with little effort and great prices depending on the season. Open carriers are used by anybody and everybody looking to ship a vehicle. 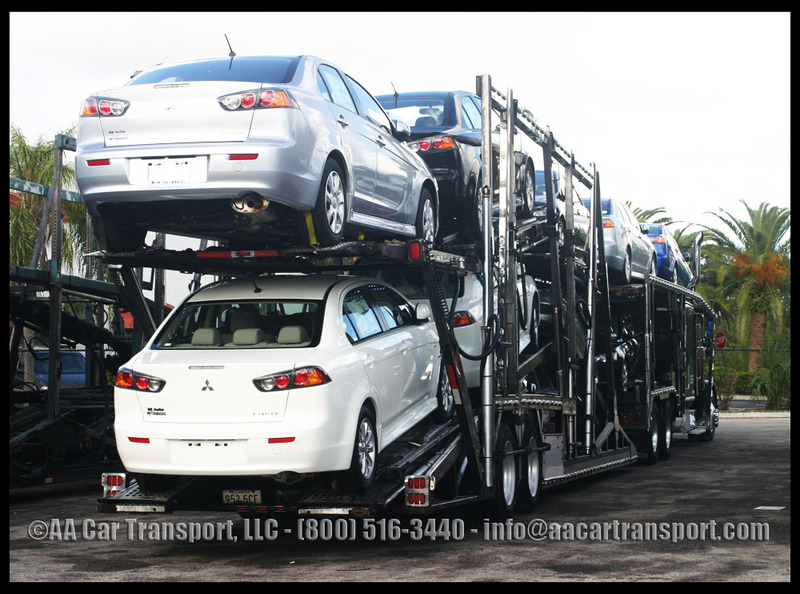 From personal owners to large dealers, open carrier transport thousands of cars worldwide throughout the year. Originally open carriers were only used by dealers and private companies that moved cars from dealer to dealer or to their private customers. 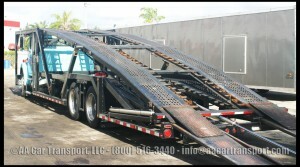 Large transportation companies also used them to ship their vehicles where needed. However as time passed the service started to be acclaimed by private owners and individual parties. This gave room for the service to grow and now open carriers take cars from anywhere to anywhere, whether it comes from a multimillion dealer owner or am average private owner looking to move his car to a new location. Prepare your car for transport by washing it thoroughly and taking pictures. This will help you keep record of the state your car is in before pick up, so that in the event damages occur along the way, you will have evidence to show during insurance claims. Also remove any person item inside the car as these are not to be shipped within vehicle, car transport companies ship cars not personal belongings, for this you may hire a moving company. Personal items add weight to vehicles and are an insurance liability. Don’t assume that because it is a car transporter taking your car from one point to another, insurance is part of the package as well. Make sure the carrier you are using provides full insurance for your car in case of any loss or damage along the way. Request a copy of insurance for your records and as proof that this company will respond for you not only when charging your card but when they scratch your car as well. Arrange payments before hand to avoid last minute hassles that may cause delays or storage fees, as no payment upon delivery means driver will have to leave car at storage in the event he is running a tight schedule. Storage locations are programmed to receive full payment plus their fees; this allows drivers to be covered for their fees as well. Once you have taken care of all these things simply confirm pickup and delivery times with driver as he goes along the way. Customers are provided with driver’s info and direct number; however it is very important they use this information wisely. Drivers are on the road most of the time and cannot answer calls until they reach a rest stop to check in and follow up with customers. If you start bombarding driver with non-stop calls this will aggravate driver and end up with a bad service. Car transport in Tennessee can be very easy and stress free process when choosing the right company to ship your car. Need more information about car transport in Tennessee? Feel free to call us directly to speak with a specialist 1-800-516-3440 or submit a quote.